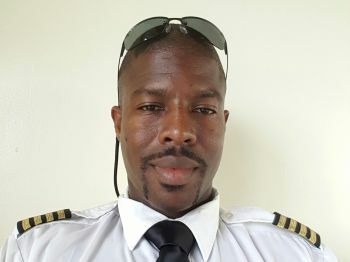 ROAD TOWN, Tortola, VI – Local pilot and shareholder in VI Airlink Captain Neville C. Brathwaite Jr. has expressed reservations about Government’s plans to expand the Terrance B. Lettsome International Airport at Beef Island. The local pilot, also a qualified aeronautical engineer and mechanic, was a guest on the Speak Out BVI radio show hosted by Doug Wheatley and aired on Tuesday February 23, 2016 on ZBVI 780 AM. When asked by fellow guest Natalio D. Wheatley aka Sowande Uhuru whether it would be a good thing for one of the big airlines to commence service offering direct flights to the mainland United States, Brathwaite said that this would be a conundrum. 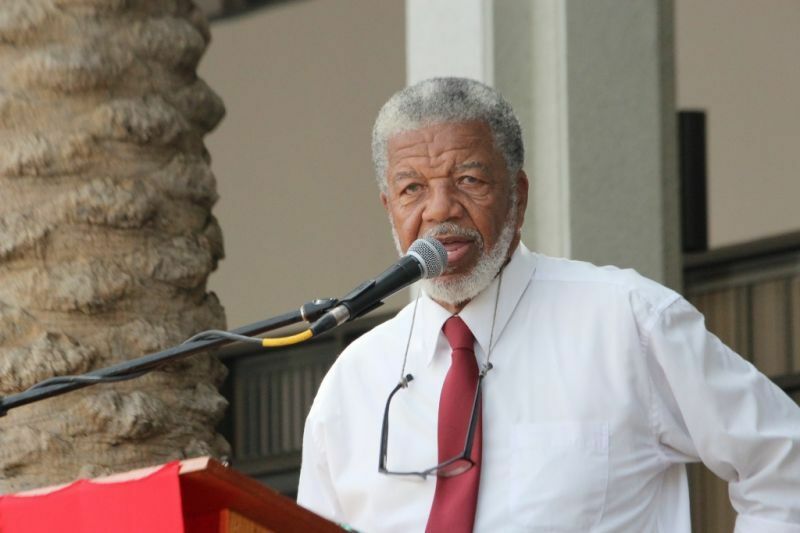 He said he gets to visit many different places, including throughout the Caribbean, and from what he has observed the VI is not a hub and therefore an expanded airport would be a misplaced objective. “Be it that we are not a hub and we are not supporting any other countries, I still have questions in my mind in terms of the expansion,” he said. However, Brathwaite made it clear that he is still “on the bus” for having the VI more accessible, for which the Government has partnered with BVI Airlines, now foreign owned, with a cash injection of $7 million to be repaid over the next three years. Brathwaite noted that the VI is one of the few places in the Caribbean where someone had to make so many stops before arriving here. The Government is intending to embark on the upgrade of the airport using a design-build model and it is expected to be upwards of at least $200 million. why he aint go tell that to the done done deal man? $200 million is the same as saying it will cost $300 million. Giving the ongoing pier park project with the missing $40 million in a few chosen ones pockets, I can now see at least $100 million missing before the airport project gets off the ground. If they haven't learned from the thievery that has been going on, I sure hope they are watching and ready to put the thieves in jail with no chance of another government or political position ever. There should be several people made accountable for this money. Why haven't the government and politicians looked into who had BIG BANK DEPOSITS lately? OOPS, my mistake, then they would have to arrest themselves. How can it be a hub if it doesn't have a runway to accommodate the aircraft required for such an arrangement? They don't determine that somewhere is a hub then build a runway. Once infrastructure is in place then other things will fall into place. We cannot sit here talking foolishness while we lose tourists and suffer ourselves as residents as it takes us 2 full stressful days even if we going right there Miami. That is bullsh*t and we need to get our acts together. No way nobody should lose 2 full days from BVI to Florida. Can you really be that stupid? No wonder the country has gone to $hit. God help us all. their cargo could avoid the ridiculous Liat experience and schedule from BVI. THAT is essential! I wonder how much more millions will go missing with this endeavor? After a careful examination of the Government's accounts I can say with confidence that after the Cuban has spent $7 million dollars on this project with nothing to show for it, we can safely put this project to rest. Technically and economically it cannot be justified. Even the deaf dumb and blind can see this. Will we spend a further $7 million before our representatives come to grips with reality? @ wise up: The UK Government gave the go ahead subject to certain conditions including, "the project must make economic sense." Anyone who has some degree of knowledge in the industry would immediately observe that key elements which are required to make this project feasible are absent. What is present is a whole lot of inflated egos. This project is not misplaced. The government knows fully well how and why it will be "placed". What will be "misplaced" will be millions of dollars in loan funding which will need to be replaced on the taxpayers tab. Pier Park Dejavu even before it starts. Also the cries of the public will also be "misplaced" just like when they cried for NHI, New Hospital, Pier Park and all the the other NDP "Done Deals"
Listening to this man tells me about the need for this and that strupps and how come your airline did not get the NDP deal?. They just need to train more local business ppl and rid the system from political acts. It is not feasible for so many reasons. Why would AA want to bring 200 passengers here and only take out 5. That in it self is too costly for the airline. Government need to negotiate with St. Thomas/ Peuto Rico and be law makers instead of being polititions. @ the doc: don't you think that most of those 200 passengers will travel on round-trip-tickets(just asking you!!! )....if foolishnesses was dynamite people like would have been dead!!!! The only reason it is not a hub is because it can not accommodate larger aircraft. Plain and simple. has anyone lived under an active airport with several working runways as a "hub"? so much for quality of life. Planes start to descend over JVD and west end, road town and east to approach. It is incredibly noisy and disrupts any peace and quiet people are seeking. there are no such thing as direct flights anymore. Even the ones from Miami are changes for most people. There is a direct flight to St Thomas during season which SHOULD connect with the FERRIES. But it doesn't. If you were so concerned about less connections for tourists how about getting the FERRIES to meet the flights for a smooth connection. And those who live West still won't use East airport. This new airport is to cater to the private jets of VG. As I said several years ago, it will be like a mastiff trying to mount a Chihuahua. The noise alone. The airplane fuel fumes. Even living on the flight path 20 miles from a hub airport results in disrupted sleep, increased chronic health problems and increased miscarriage. @ size up. Whether round trip ticket or not it is not feaseable. Do the maths. Cost for fuel - sallery - you name it. Besides all that do we have enough villas, hotel, guest houses act. No! So there fore think about what the repercussion will be. Not before long there will be less flights till no more. For the cost will be too much and not money coming in for flight.